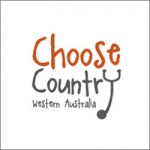 The Rural Practice Pathway provides an integrated training route for medical students and doctors-in-training seeking a career in rural medical practice in Western Australia. The pathway incorporates a variety of experiences across general practice, hospital and community settings. To discover your rural practice pathway today check out the Rural Practice Pathway Map to see what training opportunities are available throughout Western Australia. For further information please contact the Rural Practice Pathway Coordinator.